The newly-opened Mango Tree Thai Bistro – located at Hilton Dubai The Walk, has teamed up with Dubai Vegan Community to host a Vegan Spring Fest this month. 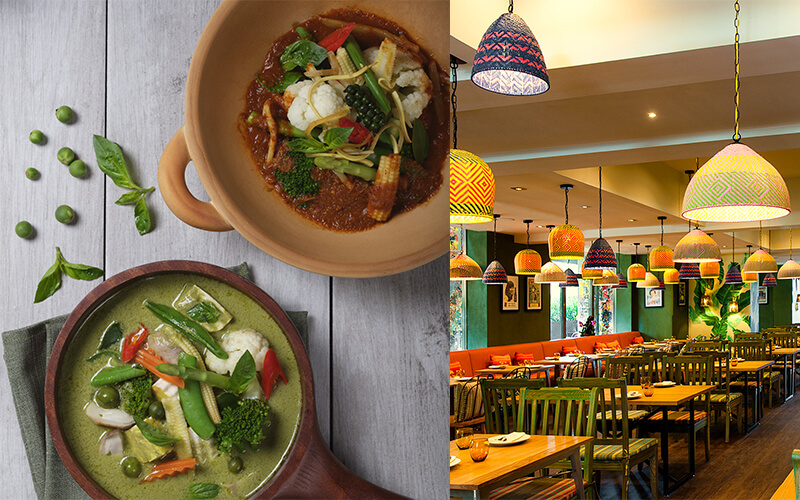 Promising to serve delicious authentic Thai flavours in the specially designed vegan menus served from 24th – 26th April, the Asian bistro is offering Dubai vegans a sharing menu – priced at AED 145 per person, including a wide selection of delicious plant-based treats. The menu includes vegan signatures, such as satay tofu curry with peanut sauce, and Pad Thai with a vegan twist – prepared with chan noodles, yellow tofu, fermented radish and a slightly sweet and spicy tamarind sauce. For those perhaps looking to delve into the vegan lifestyle, Dubai Vegan Community will be arranging an informative session during the festival, courtesy of Max and Erik via their witty podcast, The Plant Code. In addition to the dinner, second day of the festival Thursday 25th April will welcome several speakers for a vegan happy hour sat Mango Tree. House beverages will start from AED 28. The lively and family-friendly venue will conclude the festival on Friday 26th April with its Vegan Brunch, at a price of AED 99 per person for package including soft beverages, and AED 199 per person for the house beverages. From 1pm-4pm, guests can enjoy an array of dishes such as Som Tum Pak – fresh green papaya with popular spicy vegetables and khao phad phak – wok-tossed rice with assorted vegetables. Details: Vegan Spring Fest will take place at Mango Tree Thai Bistro from 24-26 April, 5pm-1am (brunch will run from 1pm-4pm on Friday). For more information, call 04 374 7555.